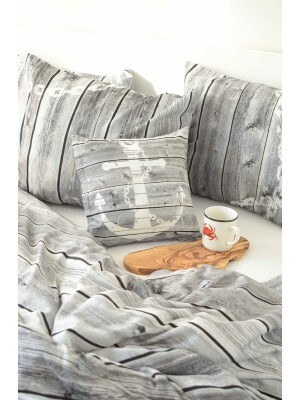 For early birds and all of you who find getting up with the first ray of sunshine so difficult, as well. 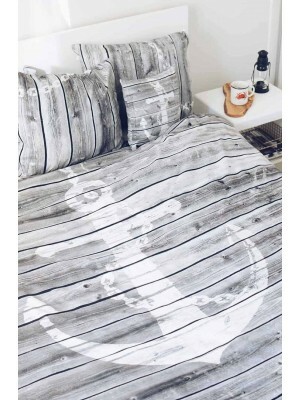 Mauricius - because that is our friend's name - will keep the first group company and won't allow the second group to hit the snooze bottom (more than few times). 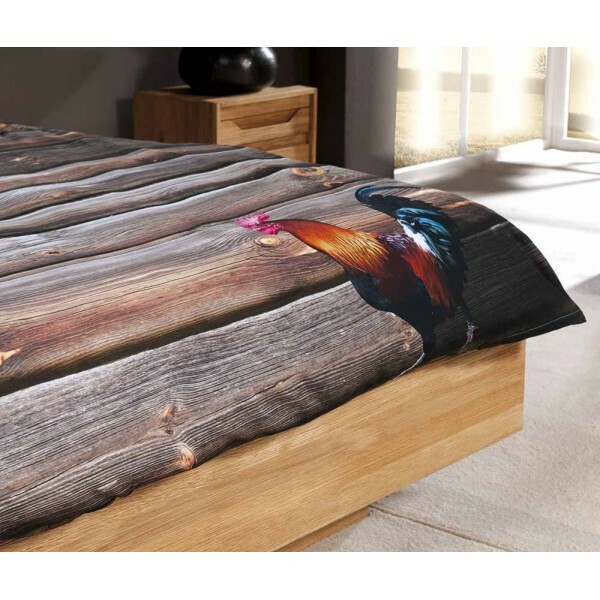 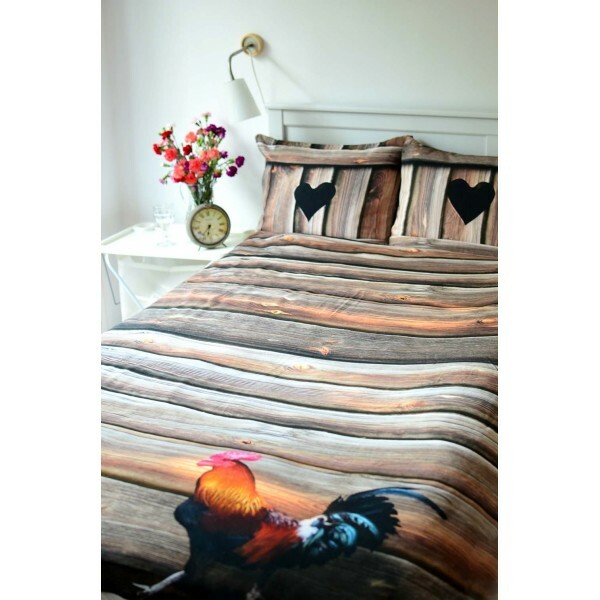 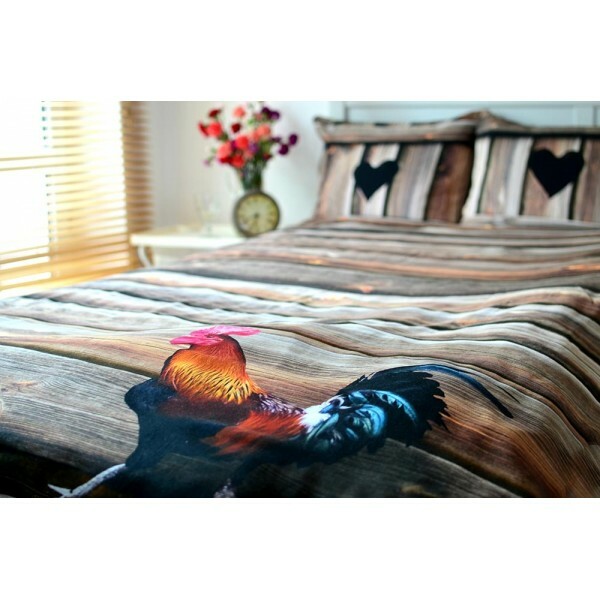 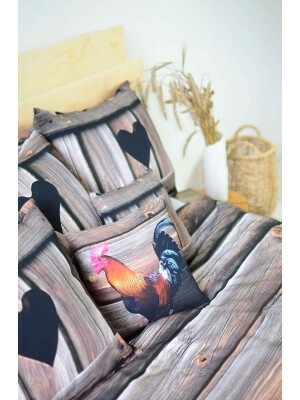 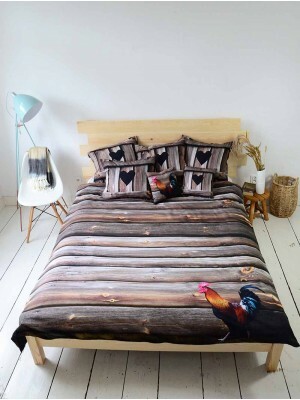 Folk motifs, wooden planks and rooster are a great combination for all nature lovers. 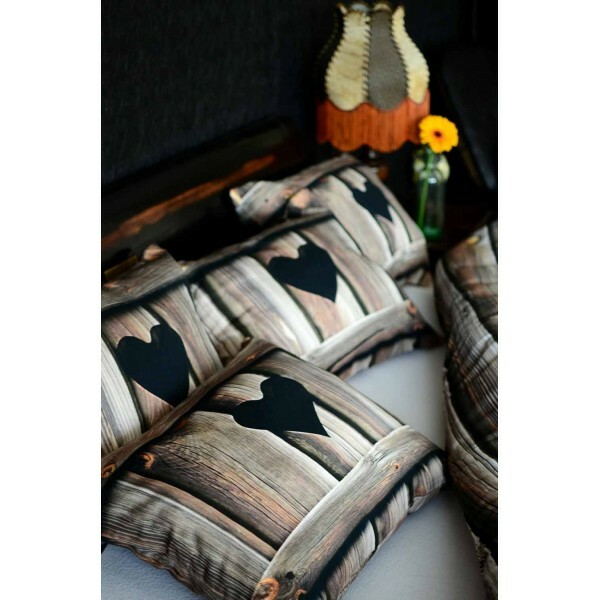 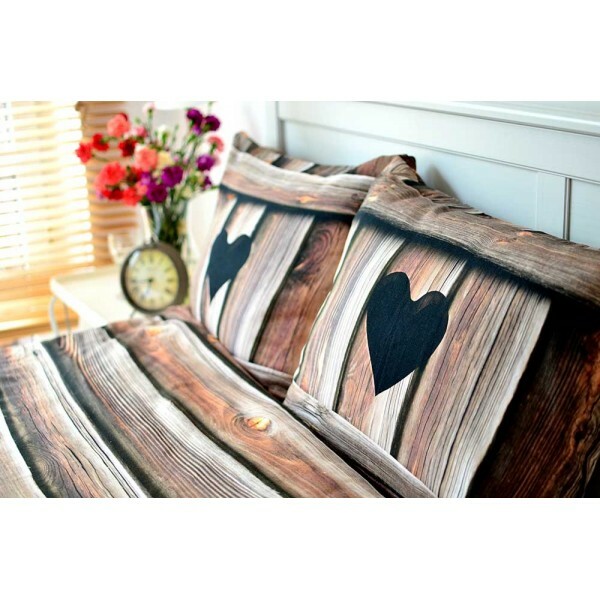 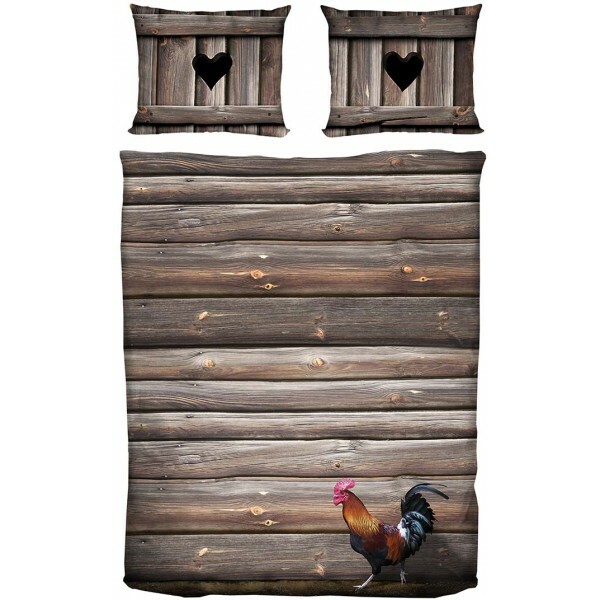 And if you add symbol of love to this – heart cut in the wood, we have the perfect bedding for a wedding gift.